The Art of Cartographics is a stunning collection of maps that all have one thing in common: each design has taken the traditional map in a new direction, with exquisite results. Featuring geographical maps, fictional maps, and fresh and innovative approaches to cultural, economic and political maps, it presents the very best in rational beauty and invites the reader on a journey across the globe. 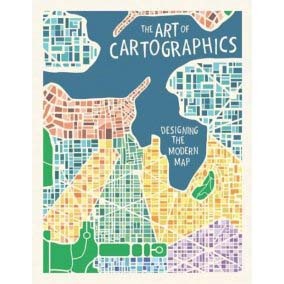 This carefully curated book selects the most creative and interesting map design projects from around the world, and offers inspiration for designers and map-lovers alike. Covering themes including power, gentrification, literature, animals, plants and food, and showcasing hand-drawn, painted, digital, 3D scuplted and folded maps, The Art of Cartographics offers a slice of social history that is as beautiful as it is fascinating.